You guys. Savory, warm, cheesy, comforting winter food is great. It’s lovely. But it has its limit. I can eat potato soup one night, then some kind of macaroni and cheese or pasta bake the next, and then I’m like, “Thanks, I’ll just have a lettuce leaf.” Chili at this point in winter is my least favorite meal. Please, no more chili! Or maybe I’m just eating the wrong kind of winter food? And maybe winter food aversions have something to do with being 15 weeks pregnant? But honestly, I feel like this every January. I start buying completely out of season strawberries and blueberries, I put avocados on everything, I think I’ll maybe make a few smoothies and then realize, no, I’m too cold. So bear this weirdness in mind while I share a few recipes I’ve been making this week. First, I made up a huge batch of homemade granola today to go with the strawberries and blueberries I splurged on at the store. Yum! I could eat granola and berries every day for weeks. Here’s my granola recipe, which I got from one of my awesome sisters-in-law. I have no idea where she found it, but I like it because it’s extremely easy and I always have the ingredients on hand. Pour all the oats in a large bowl. Mix together the rest of the ingredients in a microwaveable glass container and melt together. Stir well and pour over oats. Mix all of that ooey-oatmealy goodness together. Spray some kind of baking pan with edges (I use a roasting pan) with nonstick spray and pour the granola mixture into the pan, spreading it out evenly. Bake at 250 for 2 hours, stirring every 30-45 minutes. You can add all kinds of stuff to make this granola healthier, like flax seed, nuts, sunflower seeds, dried fruit, etc., but don’t add any dried fruit until the last 30 minutes, or maybe just mix it in with the cooked granola at the end. I’ve done raisins before but they were hard as rocks when I got the granola out of the oven. 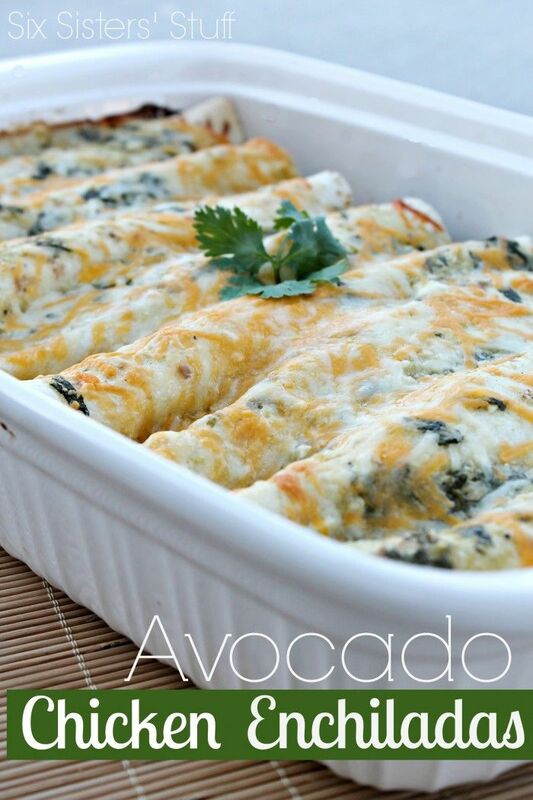 Next up on my anti-winter eating kick is this Avocado Enchilada Recipe. I found it on Pinterest and can’t wait to try it. I’m not sure my 4-year-old daughter will enjoy it, but my 2-year-old son will eat piles of avocado. We’re also going to be having a Greek salad that involves Kalamata olives, feta cheese, romaine hearts, and this awesome Newman’s Own Olive Oil and Vinegar recipe. Really, I shouldn’t be buying a salad dressing that would be a cinch to make at home, but this bottled stuff is so good. I put it on sandwiches, too (mostly because I hate mayo). I am really going to make smoothies, even though the highs are in the 30s. I keep smoothies simple with strawberries or blueberries, frozen bananas, yogurt, and milk or OJ. I hardly ever toss in the spinach that I tell myself I’m going to put in there. I know you can’t taste it, I know it would be an easy way to get my veggies in…sigh. Maybe I’ll make it happen this week. My go-to no-meat meal for the last year has been this Lime and Cilantro Rice with Spicy Citrus Black Beans from Annie’s Eats. I combine these in a Chipotle style rice bowl and top it with cheese, sour cream, salsa, guacamole, and lettuce. My only suggestion is to double the sauce for the rice, and add a bit more salt than the recipe calls for. And I’m considering sending my wonderful husband out to the grill tomorrow night to cook up some steak. He’ll probably brave the cold for steak, right? So what about you? Are you still cooking comfort food, are you on a healthy eating kick, or are you sticking to your normal meals plans year round? Share your inspiration!